You've got to have a Klingon in your collection. The warrior alien race from Star Trek gets the Pop! Vinyl treatment! 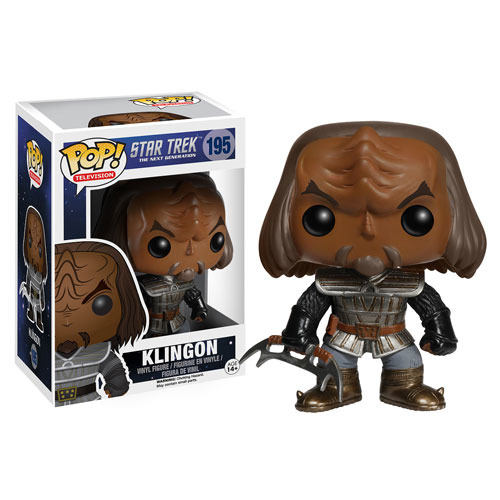 Standing about 3 3/4-inches tall, this Star Trek: The Next Generation Klingon Pop! Vinyl Figure features the popular character in traditional garb with bat'leth weapon as he appeared in the Star Trek: The Next Generation TV series. Show your Klingon honor! Collect him and the entire crew! Each figure sold separately. Ages 14 and up.